NEW YORK - Some well-off Manhattan residents paid $100 each Friday for the honor of eating a candlelit holiday dinner with homeless people at a church, an intersection of two worlds that left one down-on-his luck man thinking the seemingly impossible might happen. "What if a love connection happened tonight between the haves and the have-nots?" 44-year-old Craig James said before guests arrived. James, who has been homeless about four years since losing a job in security, also volunteers at St. Bartholomew's Church in Manhattan, where the dinner occurred. The Rev. Edward Sunderland said he hopes the unusual mealtime coupling will become a nationwide trend. About 500 people dined at large round tables with red tablecloths beneath the church's tall ceiling. 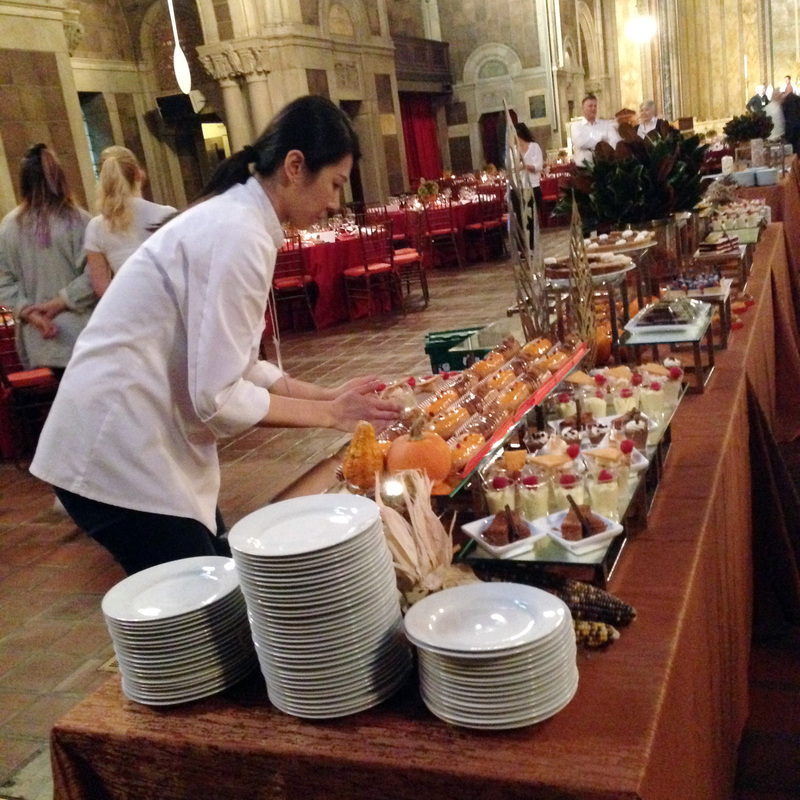 Chefs from The New York Palace and The Waldorf-Astoria hotels provided roasted turkey, buttered mashed potatoes, red velvet cake, pumpkin cheesecake and other delights. A piano played softly in the background. Sunderland said the dinner provided donors a safe environment to meet those who benefit from their charitable instincts. Still, he wasn't entirely sure how it would go. "Is this the scariest thing I've ever done? Of course it is!" he said. Sunderland said he was encouraged that only two of 424 people who bought dinners asked not to be seated with the 70-80 homeless people. Among guests were law firm partners, investment professionals, teachers, social workers, writers, artists, musicians and retirees. Not everybody was wealthy. He said one couple saved so they could afford tickets. A host at each table managed relationships. "Both groups tend to be a little high maintenance," Sunderland said. "Many wealthy people have mental illnesses. Many are addicted to substances, and it's probably at the same rate as homeless people. It manifests itself differently and it's treated differently." David Garcelon, Waldorf-Astoria's director of culinary, said the hotel served about 1,800 people a day earlier on Thanksgiving. "This will be a fun and easy day for us," he said. Heather Mitchell, a paying guest, said she expected some would be made uncomfortable at a church known for welcoming everyone. "But how many dinner parties do you go to with people of the same socio-economic status and you're bored to tears?" she asked. "It's good to mix it up." Artie Stone, 58, another guest, said: "The idea of well-to-do and struggling people side-by-side is like having the lion and the lamb lay down together." James, serving as a table host, said he couldn't wait to see some of the homeless characters at the dinner. He referenced in particular "Artie the chatterbox" and the "Manson twins," two women dubbed that because it seems Charles Manson might have liked to recruit them. He said he hoped it would dispel homeless stereotypes people embrace after they encounter a "dirty guy on the train or someone sleeping in the park." "I'm so interested to see how it turns out," he said. "Will the homeless just talk to the homeless and the well-to-do talk to the well-to-do?"